Rectangular frame, wooden, wood unknown, stained black outside. Edges bound with thin brass. 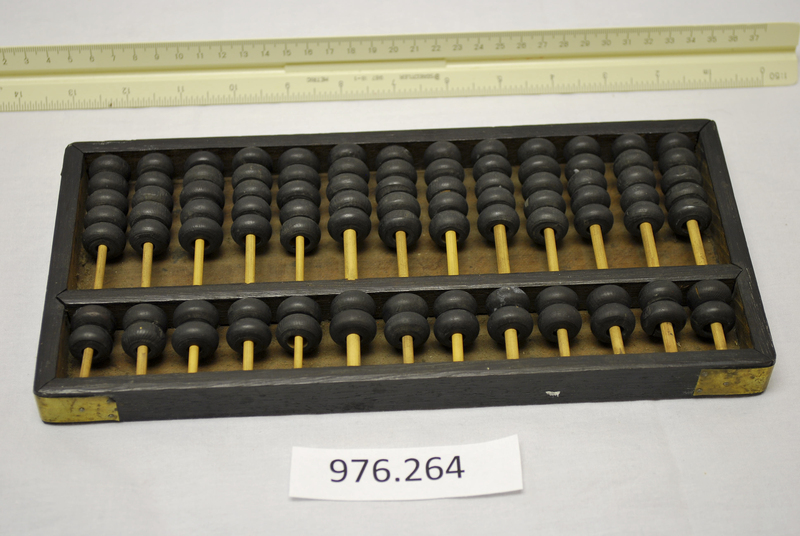 Abacus is divided horizontally into two areas, the base area being much deeper than the top. Thirteen bamboo rods are evenly spaced at fixed intervals inside the frame. These rods run vertically the height of the frame. Each rod in the lower area holds five black wooden beads and each rod in the top area holds two black wooden beads.